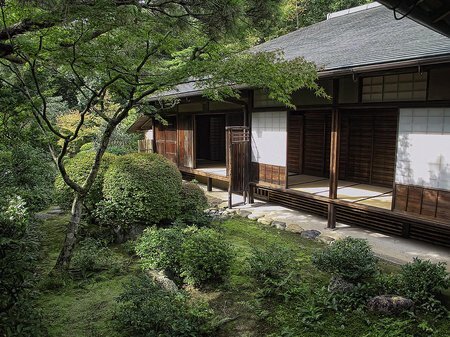 The Tea House Garden – It is thought that the Zen monk Muratushuko (1422-1502) probably originated the tea ceremony. He built a little tea hut in the middle of Kyoto, furnished with simple utensils, and this idea of simplicity and austerity caught on. 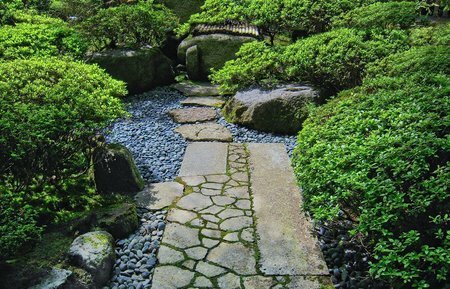 The main feature of a tea house garden is the path of rough stepping stones preventing the visitor from trampling on the beautiful moss. 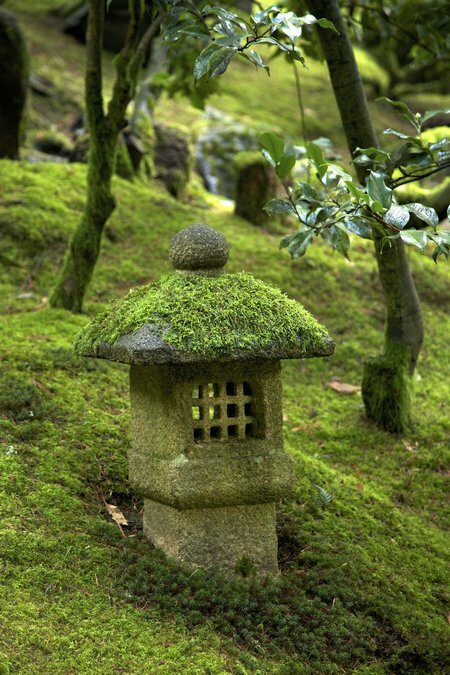 Stone lantern light the way at night and a stone bowl stands outside the tea house for cleaning the visitor spiritually and physically before entering the house. 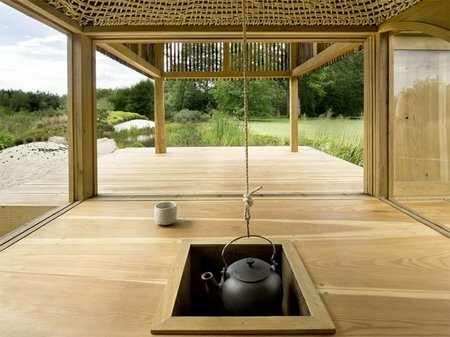 The tea house itself should resemble a small rustic retreat and was based on the traditional Japanese farmhouse. 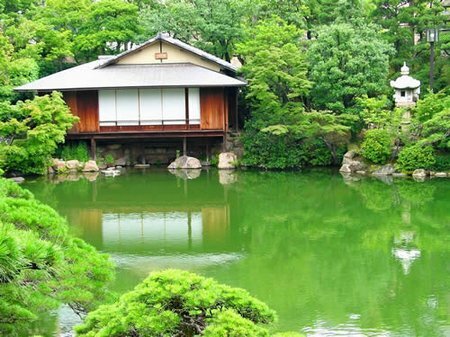 Traditionally, there should be no windows in this little house because there should be no view of the garden from inside. 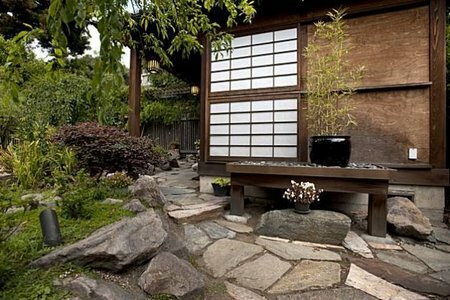 There might be a veranda, from which the shape of the garden can be viewed. 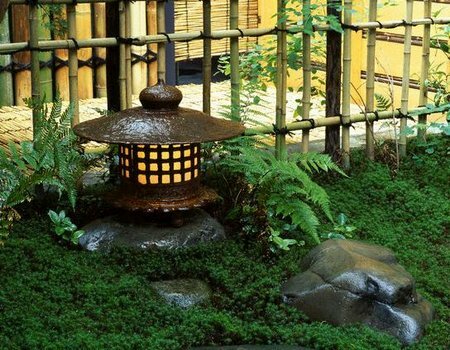 The whole tea house garden is in muted colors with plenty of moss, kept damp and green by watering, sprinkled on paths and stepping stones. Everything should appear totally natural. 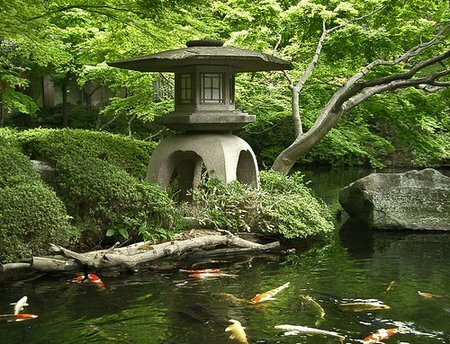 If there is a pond, it should be sinuous with jutting peninsulas and deep inlets, often shored up with rocks so that you can get a dramatic overview from the tea house veranda. 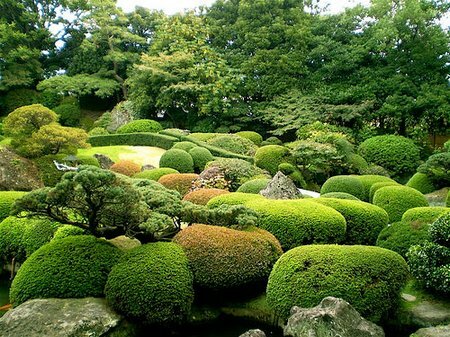 Shrubs and bushes are clipped into shapes suggestive of mountains.